After arriving in Harare on Wednesday, I got started right away with Camfed on Thursday morning. 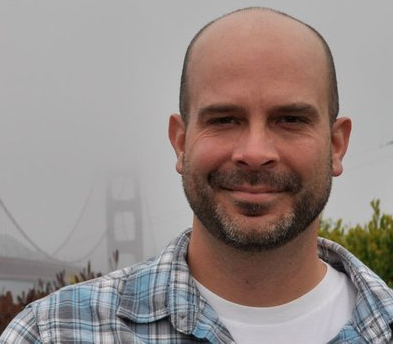 Kiva's Regional Director for Africa. Cher, arrived, along with my Field Support Specialist, Claire, and Portfolio Manager, Mac. The timing of their site visit was a fortunate one for me, as it provided an immediate and extremely in-depth orientation to Camfed's incredible work. We left early Friday morning for the Wedza District -- one of several rural areas where Camfed provides financial support to vulnerable girls to ensure they are able to finish their secondary school education. After they graduate, the girls become part of a peer support network (known as CAMA). This network provides training in building and growing small businesses as a means for the young women to provide for themselves and their families. With Kiva's partnership, they also can access $500 loans to start their businesses. The loans are paid back, interest free. In return, the young women serve as volunteer Learning Guides in the schools, providing encouragement to those who follow them in securing an education and becoming self-reliant. The loans have served as powerful motivation and validation to these young women, who otherwise would carry their education into a world with virtually no opportunities for employment, and no access to financial assistance. 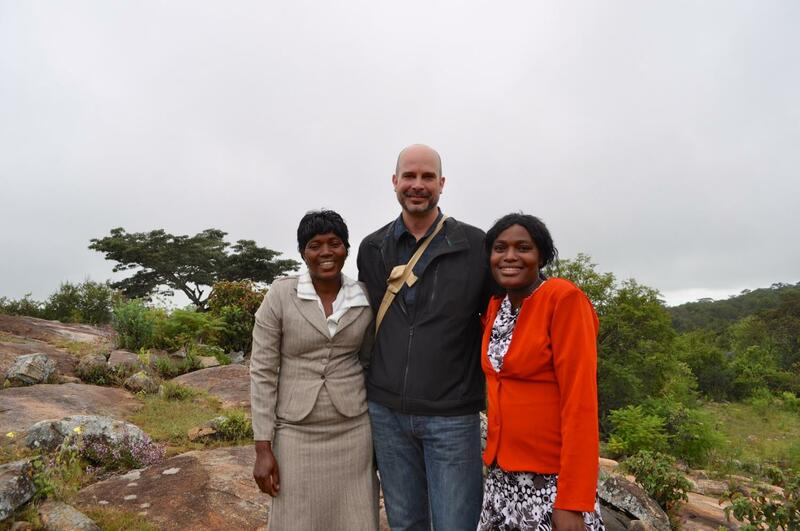 We visited two loan recipients - Marvelous and Leticia. Marvelous's shop offers groceries, clothing and now tools. She keeps her shelves - and her ledger - neatly organized. Marvelous is now earning enough to have bought her first car, and is paying for school for her two younger siblings and two orphaned cousins. She's hoping for another, larger loan to grow her inventory. 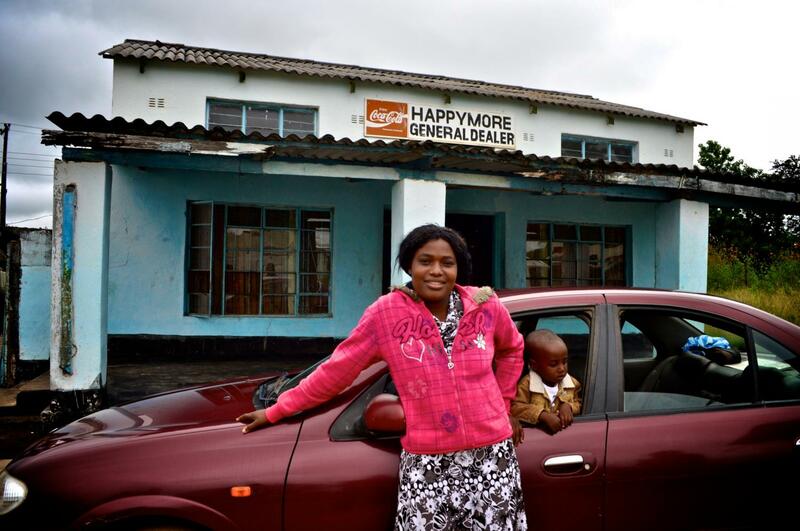 Her husband and two small boys stood at her side as she proudly answered questions about her shop - "HAPPYMORE GENERAL DEALER." I sat next to Marvelous on our way to see Leticia. I asked her how she came up with the name of her store. "I want people to smile more, to remember to always be happy. When they come to my store, I want there to be happiness in their lives," she said. I also asked how her parents felt about her business. She smiled wide, bowed her head and shared how proud they are. Leticia's farm sits just between two ridgelines, making it invisible from the road. We had to scamper down a footpath, over boulders and across a small stream to reach her idyllic property that looked like a fantasy from a childhood storybook. 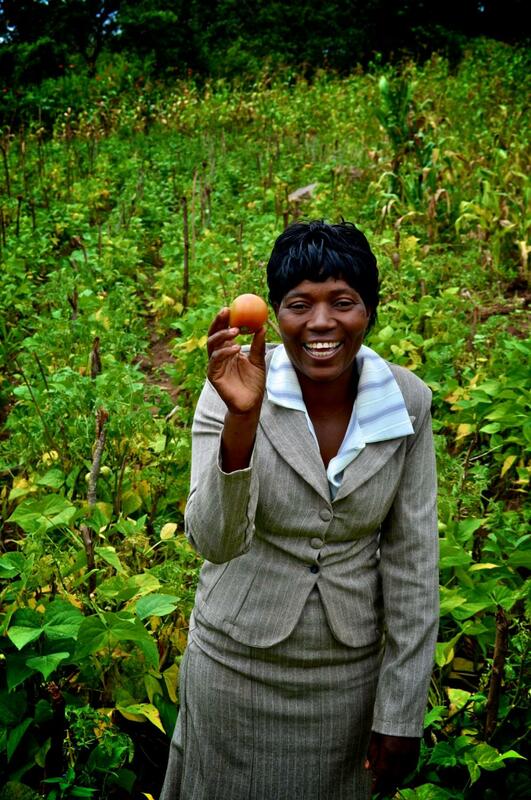 Leticia's loan allowed her to expand her farm's acreage to produce more crops. It is now mixed with the maize, beans, tomatoes and sugar cane that cover the ground in green. She also just started raising goats. Leticia's father passed away, making her the family's primary provider. She and her farm are now sources of great family and community pride. Her new income is helping her take care of her family, including two children left after her sisters' deaths, for whom Leticia pays school, clothes, food -- everything. I shared with both young ladies a copy of their Kiva profile, which described them and their needs for loans. The profiles also included a list of lenders from around the world. Each of them handled the pages as though I had just presented them with a commendation. They smiled at the faces looking back at them - those faces, unknown to them, yet that believed in them. After some formalities, the girls each stood and introduced themselves. Each was dressed sharply, many sporting sassy wigs and bright blouses with stiff collars. They shared whether they had yet received a loan and, if they had, how they used it and its impact. If they had not received a loan yet, they shared their plans. We heard one touching story after another of how these young women's lives had been completely transformed because of their businesses -- not just from the income, but the new place they now hold in their household and their community. And many of them are employing others in their townships, thus extending the benefit of their success. "My husband respects me now because I earn a living." 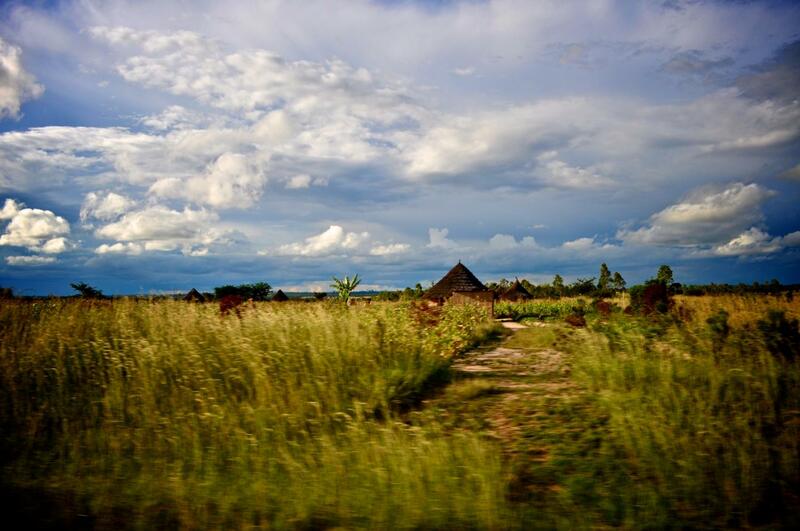 "I now have an income, and I am also providing my community with meat!" "I can pay for my sisters' clothes and tuition." "Now I come with a contribution." "I can now dress nice and fix my hair!" "I wanted to have good shoes for my children. They used to go with plastic shoes. But now they have school shoes." By far, the most inspiring story we heard was one of profound sharing. Because the partnership is new, the number of loans available to the group of young women has initially been limited. Some received loans, some didn't. This was not good enough for the girls who did receive loans. Each of the loan recipients agreed to take $50 from their own proceeds to create a pool of money to assist the others who did not receive loans. They did this to keep the other girls motivated and encouraged while waiting on the next opportunity. For them, it's also a way to stay connected. To stay supportive. And to stay together. "It's not enough for me to be okay. You have to be okay, too." We were all so moved. And the village chief made special note of the growth and changes in the girls. "I knew them before. I saw them before. I know where they came from. And so I know what this opportunity has done for them, and what it will do for more." Our goal is to reach all 1,658 young women who are part of CAMA and in need of a loan by the end of the year. This is my work - my privilege - for the coming months. I have never wanted so much, to work so hard.